Another of David’s paintings receives a Medal of Excellence award. Dduring the 2017 “Artists for Conservation” festival”, his painting “The Web of Life”, 19” x 39” (Acrylic on Baltic Birch)won the honour. This award winning conservation minded piece features species from some of the places visited by David throughout the world. September 2016 David’s painting receives a “Best-in-Show” award during the 2016 “Artists for Conservation” festival”. “Piece Keepers” 25” x 33” (Acrylic on Baltic Birch). 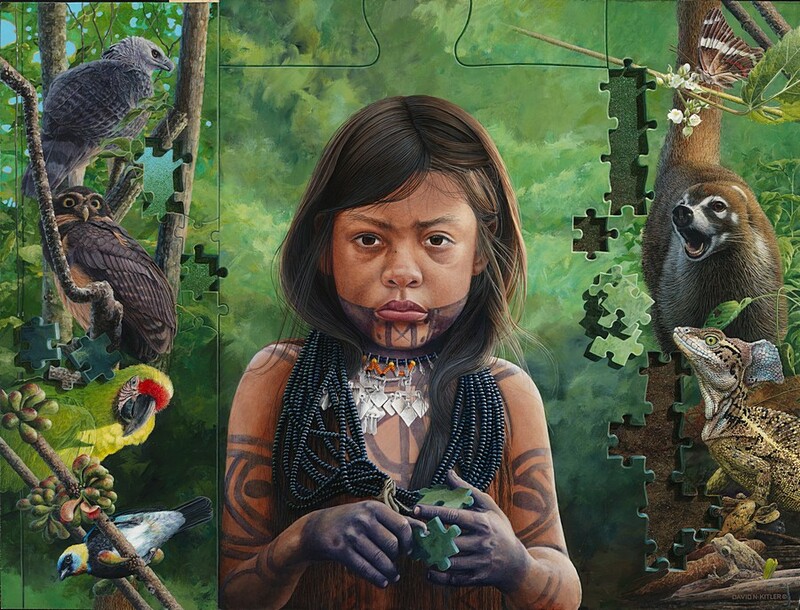 This award winning piece depicts a series of species found from the floor through to the top of the canopy of the Panamanian rainforest and includes a member of the Embera tribe David still continues to work with. 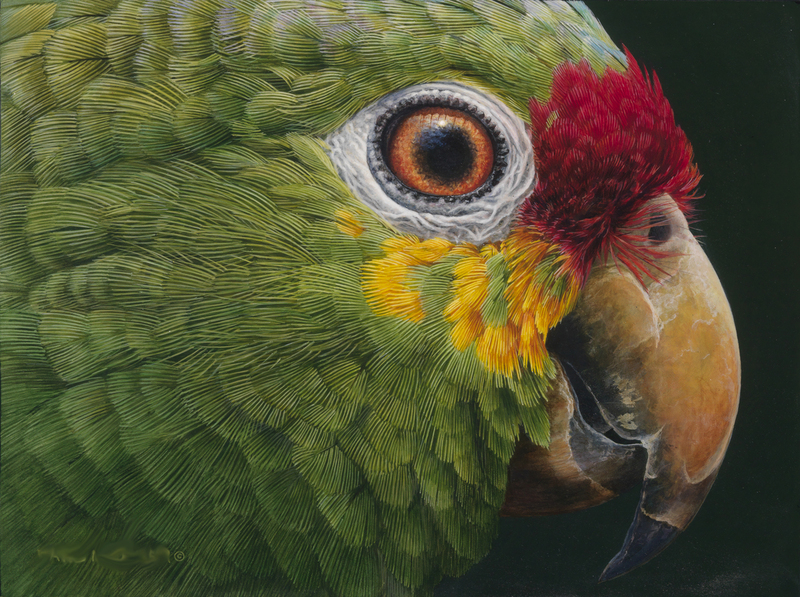 David's "Red-Lored Parrot" image receives an award in the International Artist magazine Challenge #83 "Wildlife" competition. David's "Jewels of Madagascar" painting receives another Medal of Excellence during the 2014 "Artists for Conservation" Festival. "Pink Sunset (Flamingo)" receives Honourable Mention in the Art Renewal Center (ARC) 2013/2014 International Salon Competition. 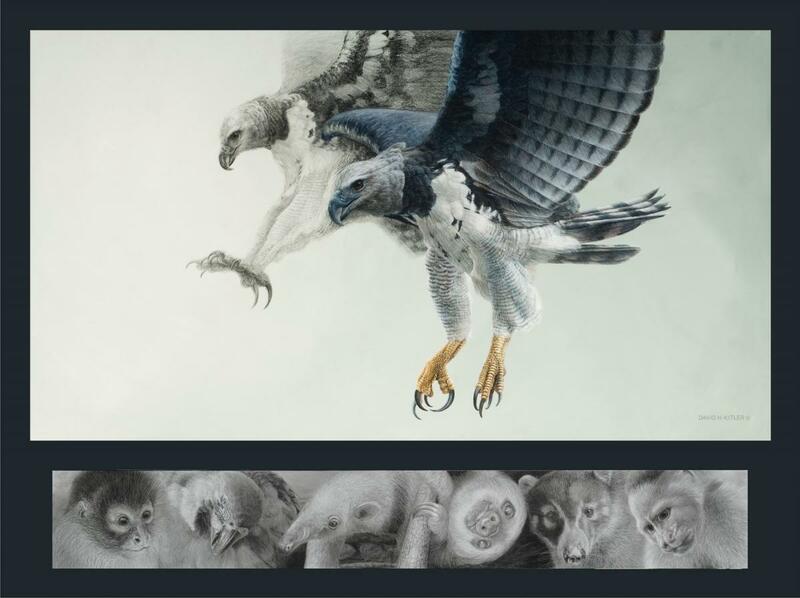 “Harpy Eagle - Talons” is selected as a finalist in the International Artist magazine Challenge #75 “Wildlife” competition. David receives AFC Conservation Artist of the Month award. The award's intention is to celebrate artists' commitment and contribution to the AFC's mission.